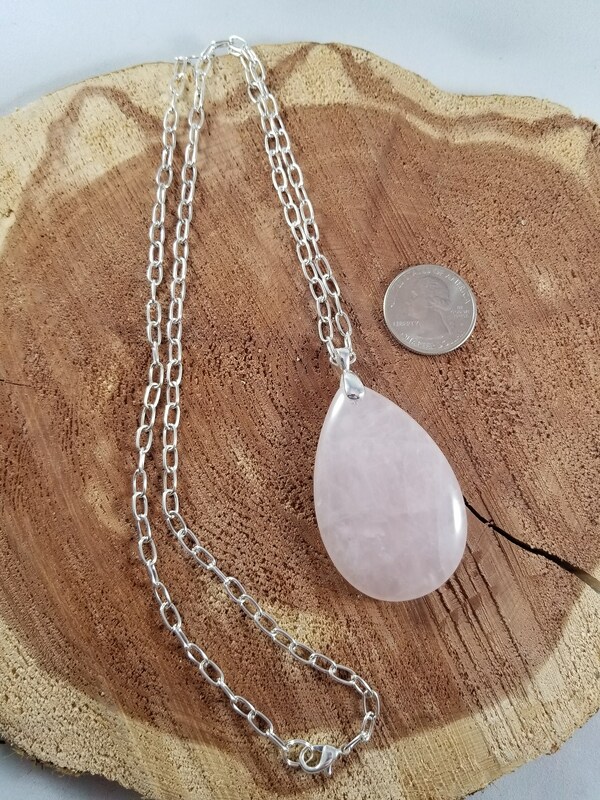 This necklace is simple elegance. 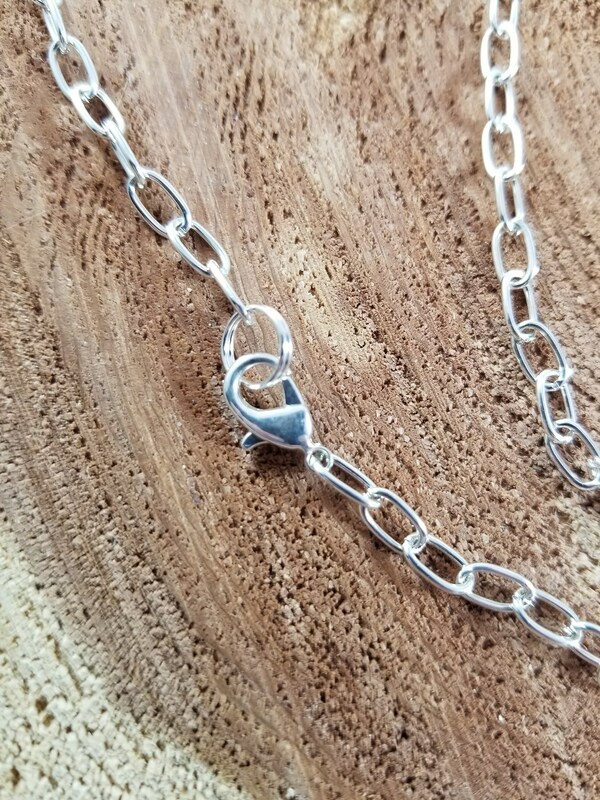 The chain is nickel free, silver plated and comes with a lobster claw clasp. 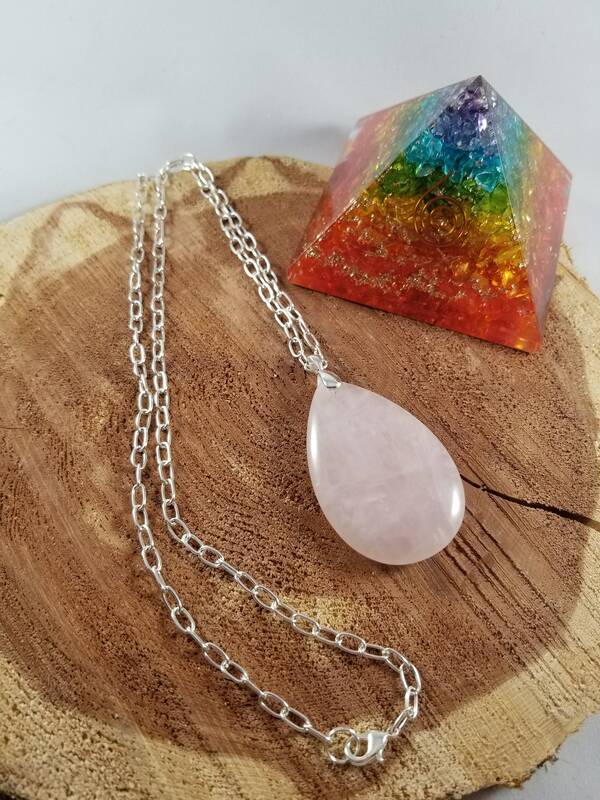 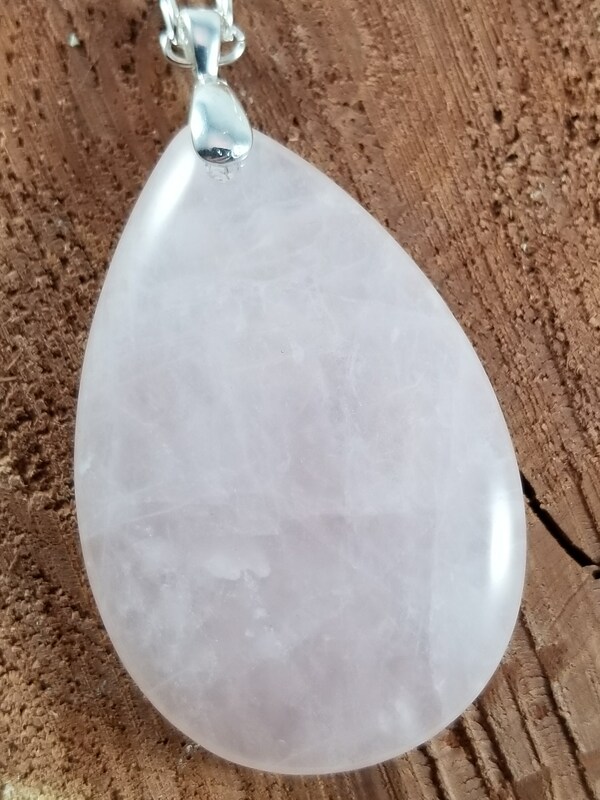 The pendant is a rich and luxurious Rose Quartz.